I've had the past week off work so it has been mostly spent watching Breaking Bad and The Vampire Diaries - Netflix I blame you. 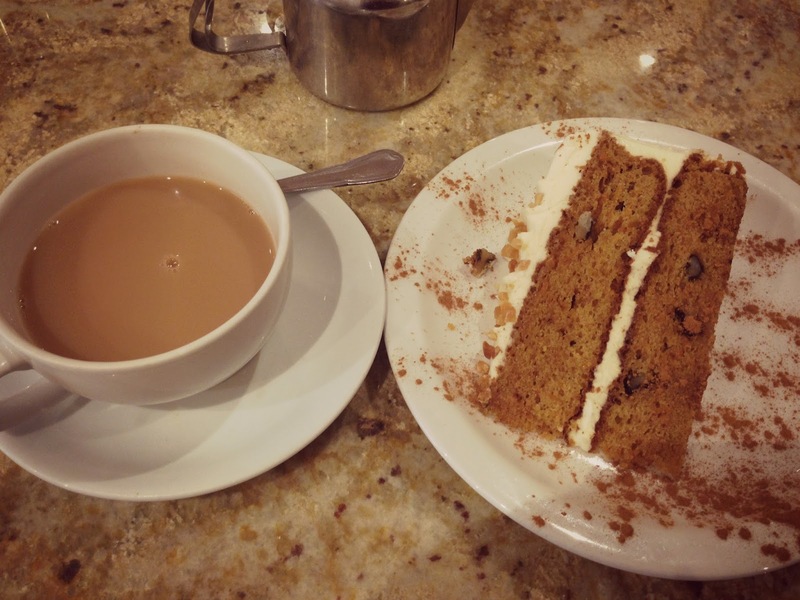 I spent an afternoon catching up with a good friend of mine and proceeded to treat myself to afternoon tea and a slice of carrot cake, yum. I've been proactive this week and have been going for hour long afternoon walks with Mich (My Mum fyi). 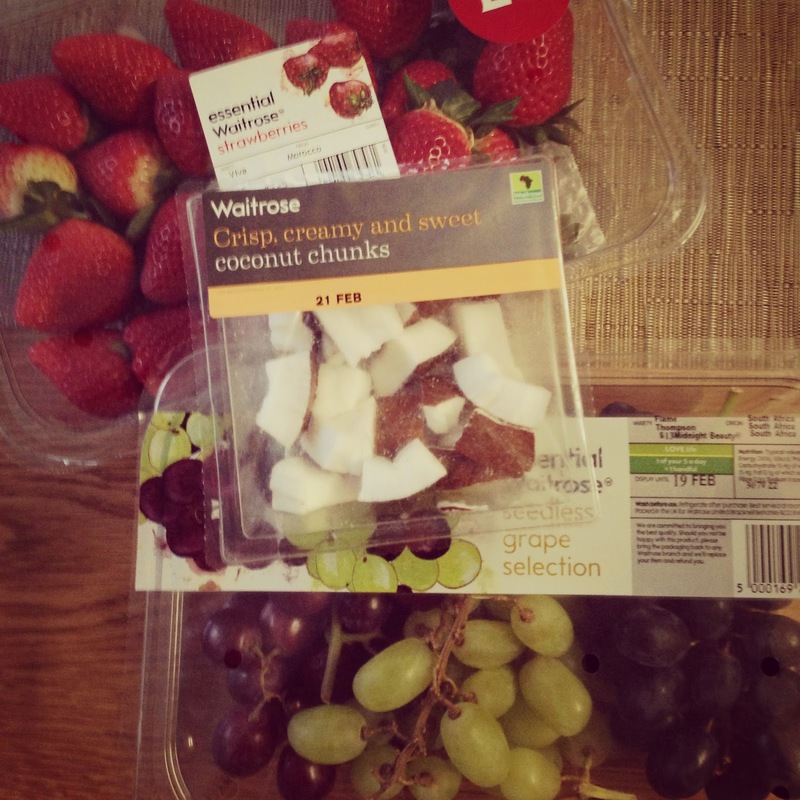 We popped into Waitrose and picked up some fruit, I have to admit they do the best fruit! I happened to wander into Topshop this week and I saw the most amazing slip on shoes that everyone seems to be talking about at the moment, so I caved. 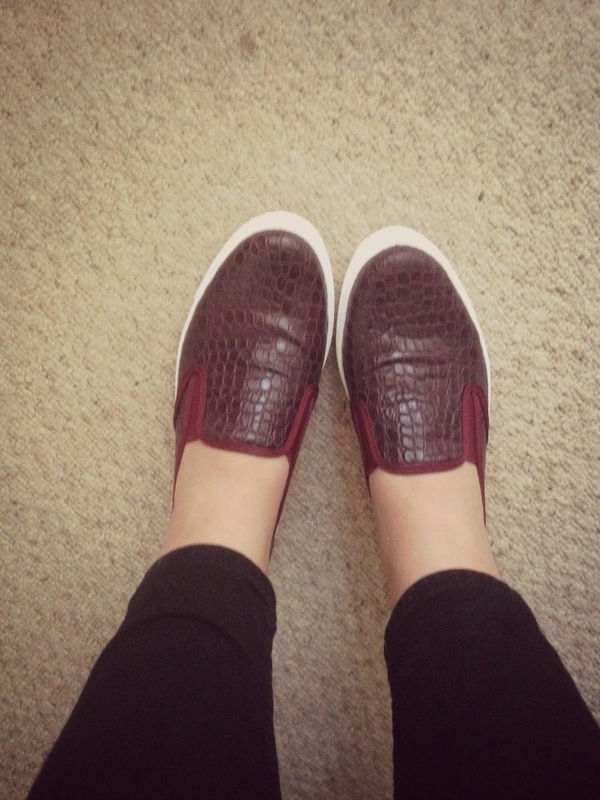 I love me some burgundy croc print shoes. In terms of blogging recently I've been so unorganised, I really need to focus on time management. I genuinely enjoy writing my posts and I spend hours reading other blogs and planning my own. I go through phases where I'm either happy with my blog and the content or time where I feel its just not where I want it to be at the moment. I know this is probably normal for every blogger out there, so I'm just going to continue working hard and spending more time on it. I hope you had a great week off and had a relaxing time! That's awesome that you're going for afternoon walks! I can't wait to start that again once the weather gets nicer here!